The event, scheduled for Friday, May 4 at 4 and 7 pm at the Mid-Hudson Civic Center, is the 32nd annual; however, it promises to be an occasion unlike anything else the runway has ever seen. Mackensi Considine, a junior originally from Bernardsville, New Jersey, is currently serving as the Logistics Production Assistant Director and echoes this sentiment of hard work. 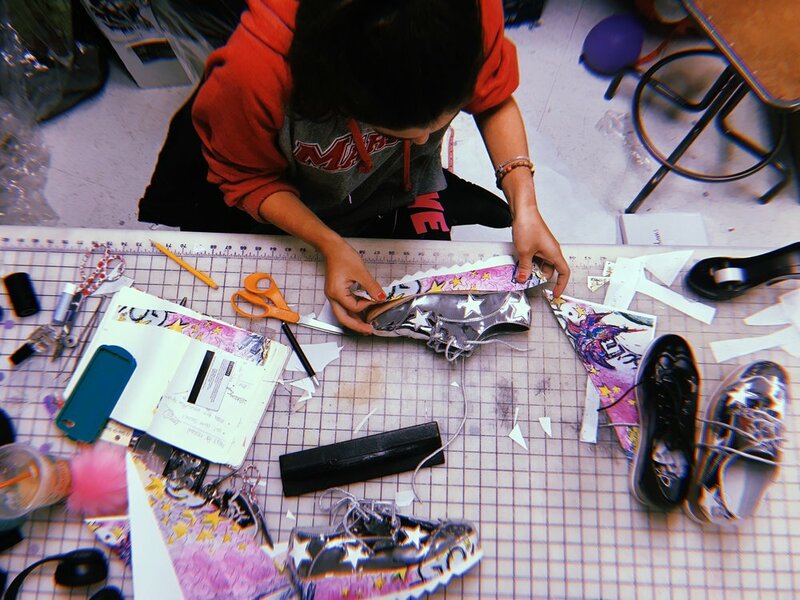 She explains that, the week of the show, students in Fashion Show Production class dedicate countless hours in the fashion department to perfect every last detail of the show and guarantee the finished product is impeccable. “Even though it is hard work, I wouldn't trade it for the world and I love that time to get even closer with my team and do our best work to make the show the absolute best it can be,” Considine says. Image provided by Gabrielle Amaturo. For senior fashion design students like Amaturo, Silver Needle Runway is a dream come true. “This is something that I have been talking about and dreaming of my whole life, so for my family to see it finally be a reality is going to be a really impactful moment for all of us,” Amaturo says. There is also an educational value to this experience, and sophomore Martha Villarreal, the Model Coordinator for the event, realizes this. “It is a really fun class and has given me a glimpse of the different aspects of the industry and how to be professional,” she states.